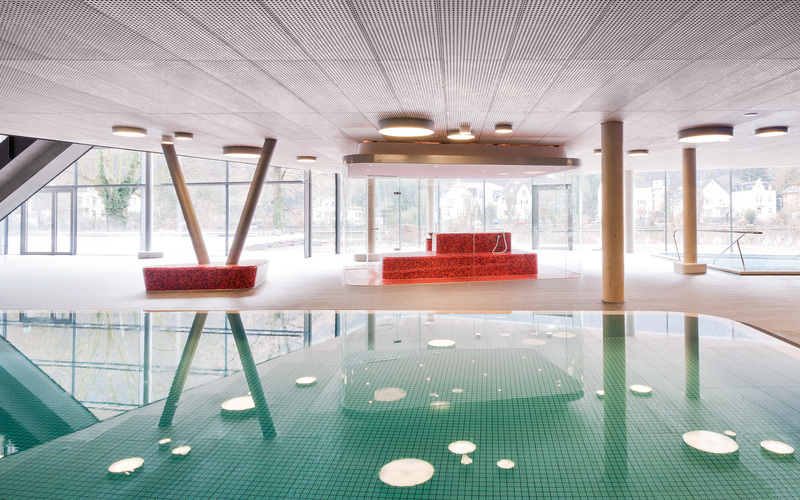 With its rounded corners and use of glass, the design of the thermal baths in Bad Ems plays with the idea of pebbles washed up onto a river bank. The interior also hints at a strewn pebble motif in the placement of its dining area, shop and sauna. Total area 7,500 m². 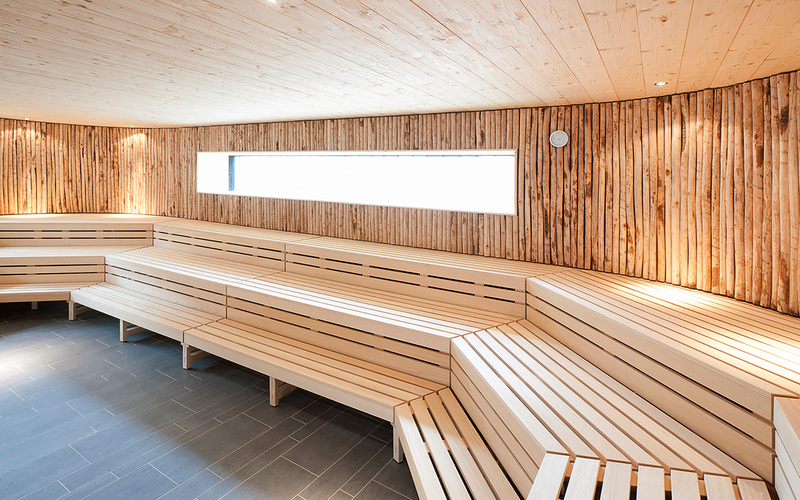 Sauna world with 780 m²: SANARIUM®, back-lit salt-wall sauna, steam bath, experience showers, plunge pool, quiet room, fireplace room, sauna bar, garden sauna with infusion heater, SIDROGA steam bath. River sauna: infusion sauna, high-temperature sauna, quiet room, sun deck. Wellness area, massage and cosmetics treatments. Fitness studio. Thermal area, indoor pools, outdoor pool. 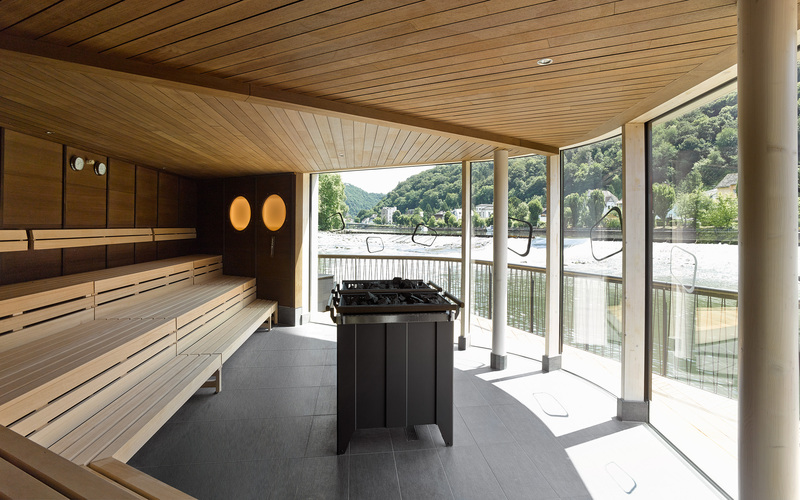 Space and expansiveness are defining features of the thermal baths in Bad Ems. 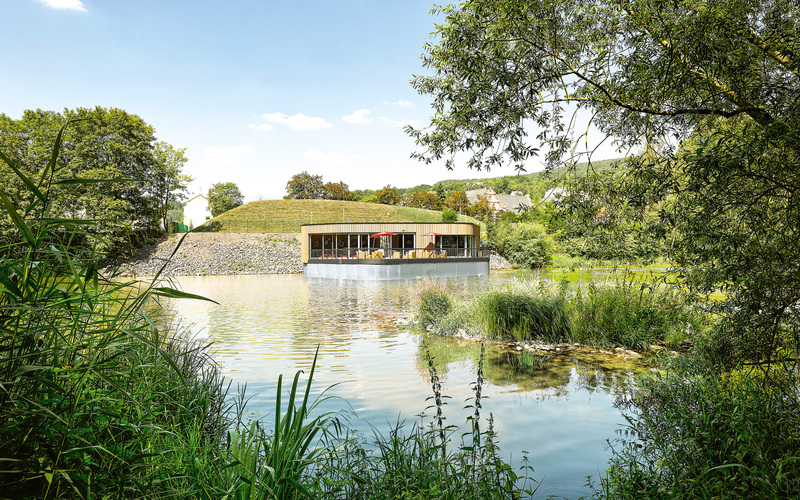 All parts of the complex reflect the organic patterns of pebbles along a river. 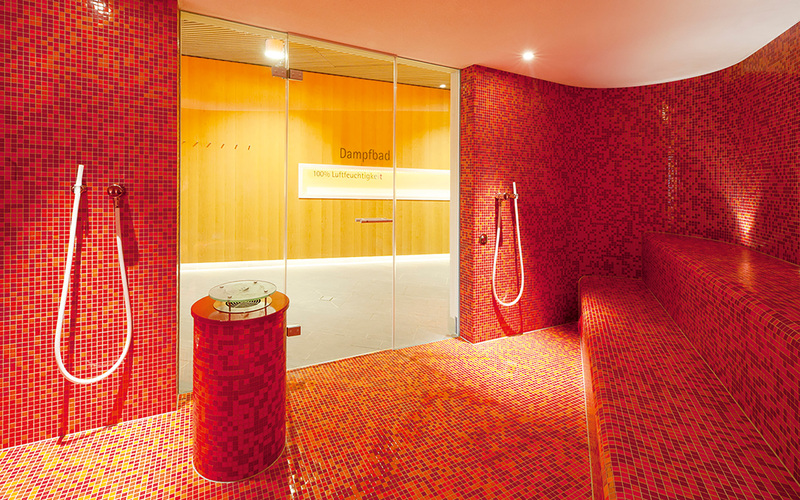 Monochromatic tones in certain areas such as the steam sauna enhance the calming effect on guests and promote relaxation.